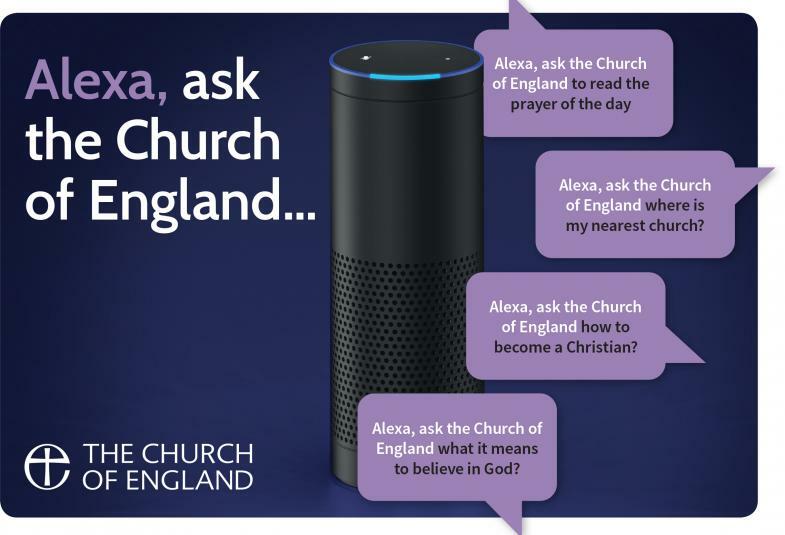 This week the Church of England announced a new initiative, launching a skill with the Amazon Echo app. Those with the smart speaker system can now make requests such as: "Alexa, ask the Church of England to read the Lord's Prayer". Daily prayer resources are central to the C of E’s Alexa skill, with the prayer for the day, as well as morning, evening and night-time prayers and a grace before meals all specially recorded. The skill is integrated with A Church Near You, which allows users to find nearby services and events, and users will also be able to ask about weddings and funerals. It also seeks to increase users' knowledge of the Christian faith by answering questions such as: what is the Bible? Who is God? What is a Christian? Many of the answers draw on material from the Pilgrim discipleship course and The Pilgrim Way: A Short Guide to the Christian Faith. What else can you ask the Church of England? Figures released last year showed that the Church of England reaches 1.2m people each month via social networks like Facebook, Twitter, Instagram and LinkedIn.